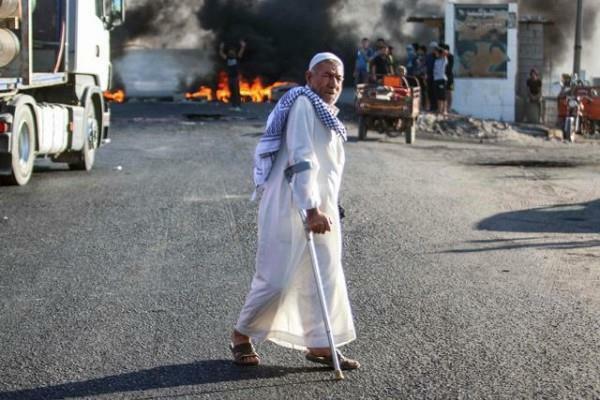 (MENAFN - Jordan Times) BASRA, Iraq — Police used tear gas to disperse around 150 protesters at the main entrance to Iraq's giant Nahr Bin Omar oilfield on Sunday, police sources said, amid growing unrest in southern cities over poor public services and corruption. Production from Nahr Bin Omar, which is operated by the state-run Basra Oil Co., now stands at around 44,000 barrels per day, oilfield officials said. On Friday, hundreds of Iraqi protesters stoned and tried to break into the provincial government headquarters in the southern oil hub of Basra demanding better public services and an end to pervasive corruption. Around 3,000 people gathered there again on Sunday and set fire to tyres outside. Protesters threatened to break into the field if the government did not respond to their demands to improve basic services and address their complaints over Basra's drinking water, which residents say is undrinkable due to high salt levels. 'We will not allow the oilfield to operate unless we get clean water. No services, no jobs and now no clean water. We are fed up,' said Hassan Ali, a protest organiser. Iraqi political blocs are attempting to form a coalition government after a May 12 parliamentary election tainted by allegations of fraud. Oil exports from Basra account for more than 95 per cent of OPEC producer Iraq's state revenues. Any potential disruptions to production could severely impact Iraq's limping economy. Police also dispersed protesters who tried to prevent trucks moving on a main road to the east of Basra which leads to a border crossing with Iran, customs and police officials said.